At the beginning of May we got the know that Maria’s mother has cancer and that they went to the capital Lima for a proper medical treatment. (Lima is a 24 hours’ drive away from Curahuasi.) Because of this we had to miss Maria for a while at the project. 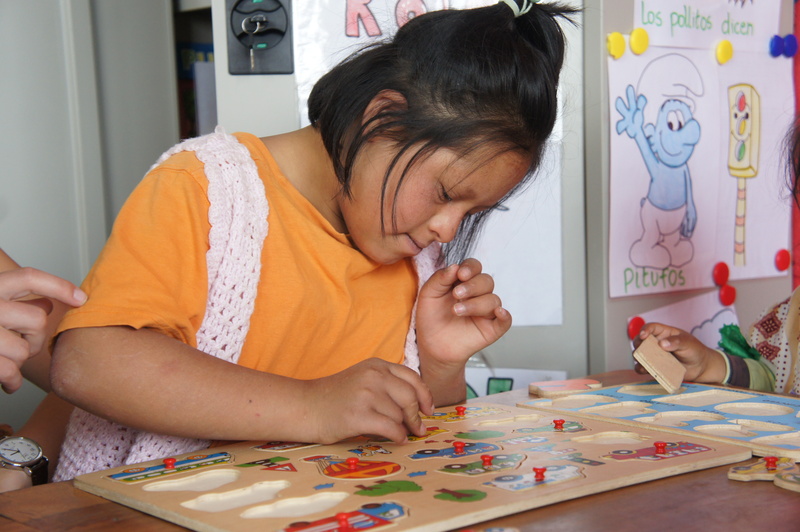 In July we were informed that Maria had been missing for two days in Lima. During the operation of her mother Maria panicked and ran away from the hospital. After a call on the national television and with the help of the police she luckily got home safe. Since the beginning of October they are back in Curahuasi and every Monday till Thursday Maria comes all day to Oye LENA. We made an exception for her, because she has no other place to go. 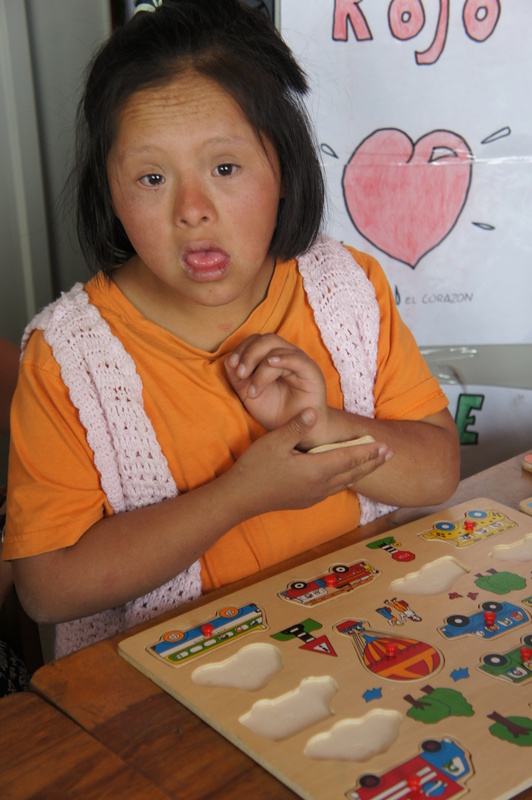 At the end of October her mother went back to Lima for chemotherapy, Maria stays with her older sister in Curahuasi.